Alright so back into my Digimon series once again! As some might know, I decided to take a break from my Digimon series a little bit to draw some regular cartoon stuff for once lol. But, now that those drawings are done, it's time to get back into my Digimon fan art, with another new Digimon I haven't drawn yet lol. So, this here is Terriermon! And yes, this is the "Tamers" version of him. Not the movie lol. I've been wanting to draw Terriermon for QUITE a long time now. Ever since I started making my Digimon fan art, he's been one of my top priories lol. But, I never got around to drawing them until today FINALLY lol. And I actually have more fan art coming of him pretty soon, if they aren't uploaded already. So, keep watch for that lol. 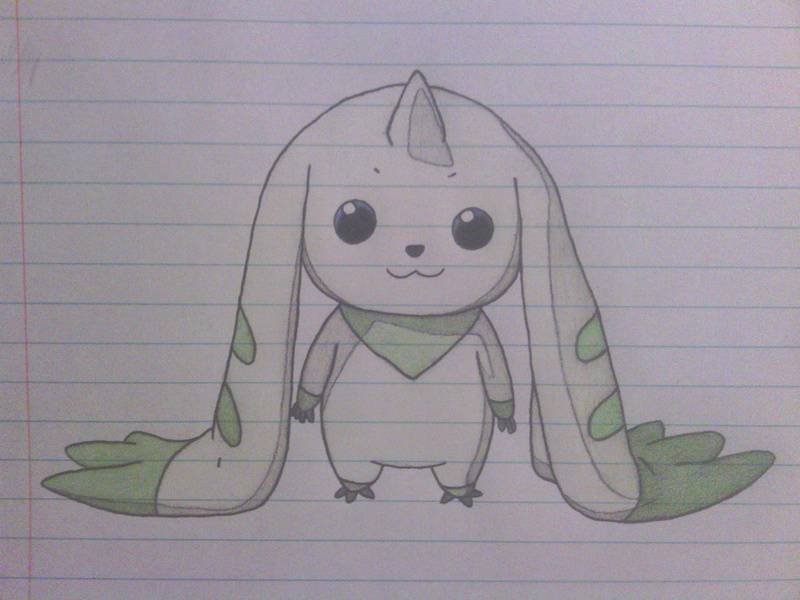 So anyways, Terriermon is ALSO one of my favorite characters from Digimon lol. I first saw him in the Digimon movie. Which in the movie, his personality and character was A LOT different, than the Tamers series. But personally, I love the Tamers version of him lol. I LOVE his personality in the Tamers series to be perfectly honest lol. But anyways, what do YOU think? I hope you like it, and thanks very much for viewing!! More Digimon art coming very soon! !